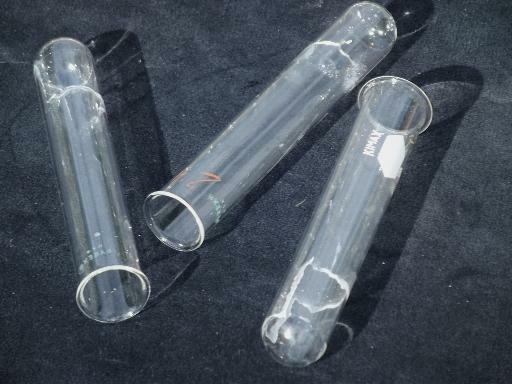 old lab glass test tubes lot - industrial storage jars, or creepy Halloween? 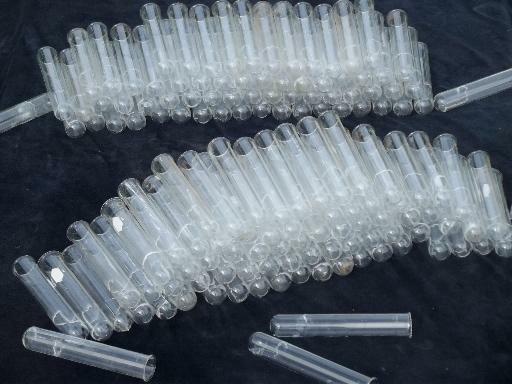 Here's a lot of about 140 glass test tubes, all 5 3/4" x 1". These make great storage jars (like a small bottle) or great props for your mad scientist laboratory! 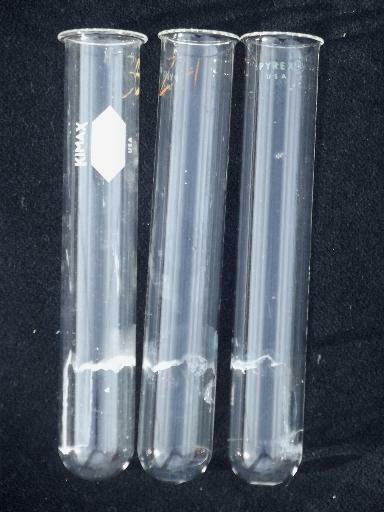 Some of these are Pyrex, other Kimax, all are genuine lab glass out of a chemistry lab. These are a little dusty, but none have chips or cracks.